Think I’m Turning Japanese | STOP. LOOK. LISTEN. 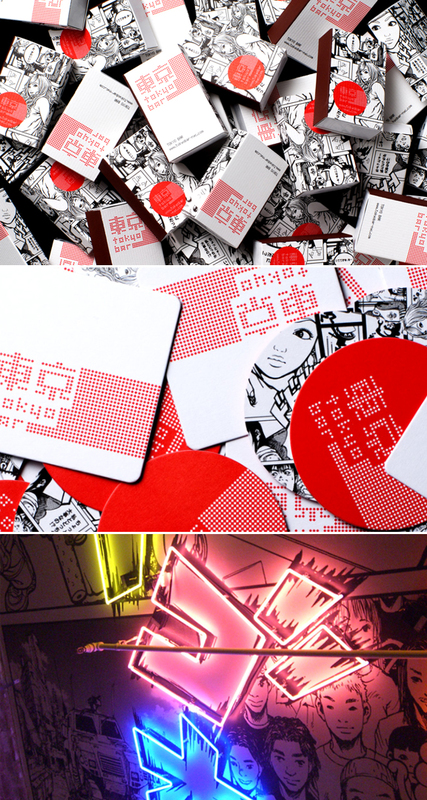 Created for Tokyo Bar in NYC, this visual identity by Kashiwa Sato artfully melds Japananimation and digital typography. The theme plays out across a variety touch points, coming to full boil on the bar interior where colorful neon frames segments of the black and white Manga comic wallpaper. This entry was posted in Get Global, Inspiration, Spaces & Places, Typography and tagged graphic identity, Interior Design. Bookmark the permalink.